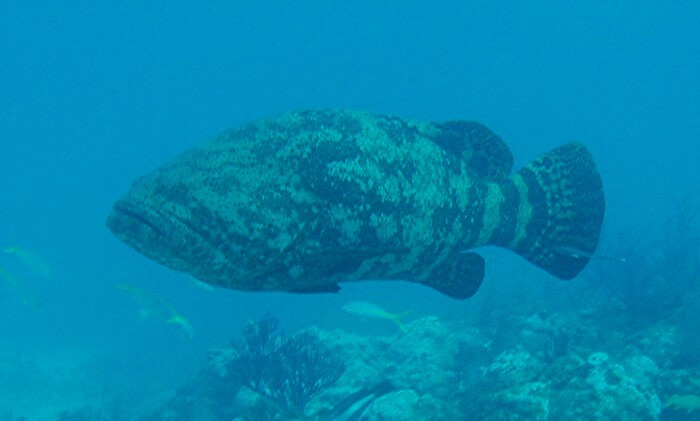 This is a Goliath Grouper. Photo by Rod 24 Feb 05 in about 20 feet water. 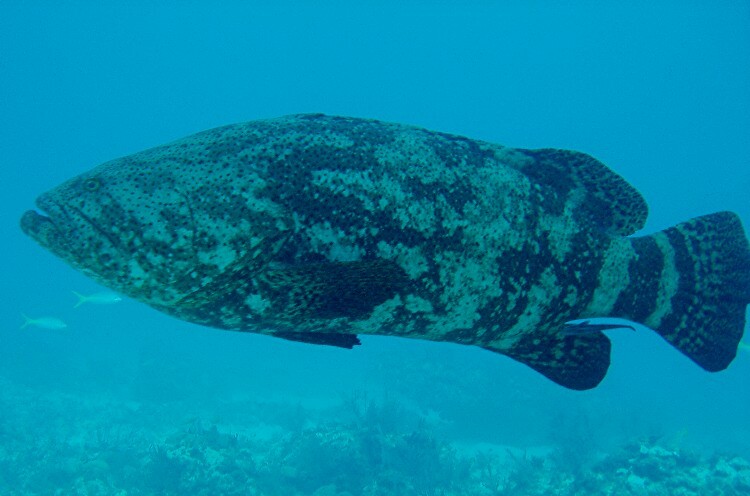 Largest fish observed on the reefs. Small dark spots over body and fins. Yellowish brown to olive-green. Oblique bars (more apparent in the young up to two feet) Can pale or darken. Tail fin rounded. Formerly known as Jewfish. Protected from harvesting in Florida since 1990. I reduced picture size so they would be visible on your screen. Just click on thumbnail for 6 x 4 picture, and name for 10 x 8 full size picture or more info. Pictures are from The City of Washington Wreck, Key Largo.